Google has confirmed that the Motorola Xoom and Nexus S smartphone will not be treated to the freshest version of the firm's mobile operating system, Android 4.2. The news was revealed on Google's forum by Jean-Baptiste Queru, who is the Technical Lead for the Android Open Source Project in a post regarding the Android 4.2 update. 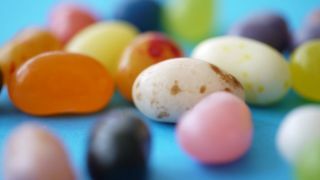 Details about the devices not receiving the update are at the end of the post, with Queru writing: "There is no support for 4.2 on Nexus S and Xoom. Those devices should continue using 4.1.2." Both devices got an upgrade to the original Jelly Bean, Android 4.1 earlier this year, and while the update from the Xoom raised some eyebrows, Google's recent acquisition of Motorola goes some way to explain why the tablet got treated. What's possibly more puzzling is Google's decision not to bump both devices up to Android 4.2 – which itself isn't a vast leap forward in terms of development from 4.1. Queru offered no reasoning as to why Google has taken the decision to stop the updates at Android 4.1.2 for the devices, so we've contacted the search giant to try and find out more.